Fabinho might be a right-back for Brazil on the international stage, but Jurgen Klopp has a different defensive role in mind for him if required. The boss has been rotating regularly at Liverpool in midfield this season, but over the past month or so the defence has also come in for changes. They have mostly been enforced though, with a succession of injuries hitting the Reds. Joe Gomez picked up a serious injury at Burnley after a great run in the team, before his central replacement Joel Matip also suffered an injury after three good showings in a row. 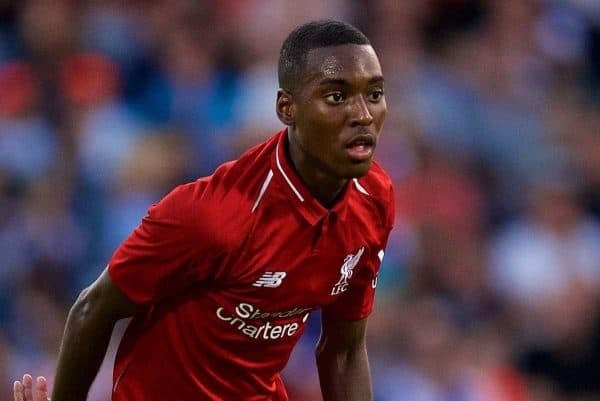 It leaves Dejan Lovren and Virgil van Dijk as the last two standing in the centre—and, worse still, Trent Alexander-Arnold has been missing at right-back of late and youngster Nat Phillips—impressive in pre-season at centre-back—is also injured. Given most are short-term injuries, Klopp won’t delve into the transfer market to fill the gaps in January, and will instead look to the versatility in his squad to help the team keep their good form going. 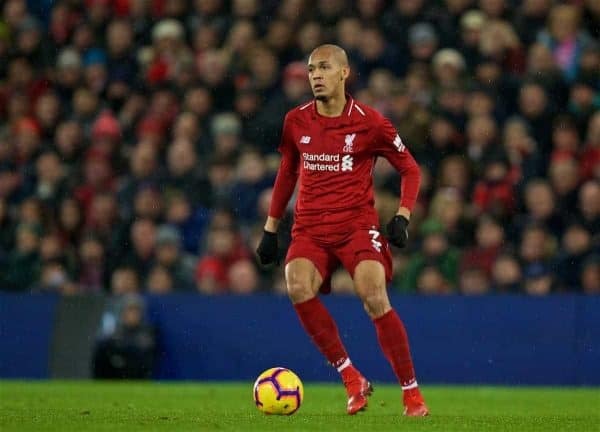 Fabinho has been excellent in central midfield recently, but with Lovren not being the most reliable in terms of fitness, this season or previously, the Brazilian could find himself deeper soon, report the Echo. “I hope Dejan can play them all but I don’t know in the moment. It looks really good. “We don’t really have options. But Fabinho can play at centre-half as well so that’s good. Around a year ago, Liverpool faced a similar scenario and did indeed feature a back three against Brighton containing two midfielders—Gini Wijnaldum and Emre Can on that occasion. Fabinho and Wijnaldum might now be the considerations if the boss needs to employ such measures again. 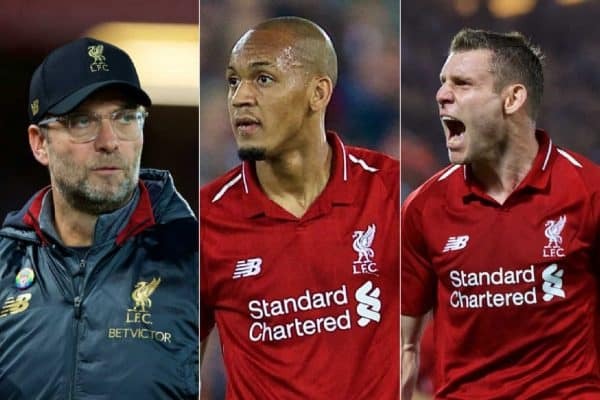 Meanwhile, comments made by the boss last week further indicate his thinking that Fabinho should be left in the middle—and the order of choice at right-back without him. Without Alexander-Arnold and Gomez, James Milner would be the choice, though he missed the Man United win through a minor injury himself. 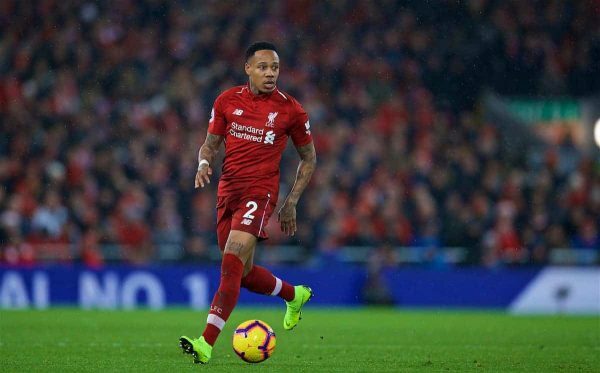 That allowed Nathaniel Clyne a rare appearance, his first in the league this season, and as a natural full-back he’d be next—perhaps even before Milner, depending on opposition, after a reasonable showing against the Red Devils. After Milner or Clyne, however, Fabinho still doesn’t enter Klopp’s thinking—instead he’d clearly prefer to utilise young winger Rafa Camacho, on the bench twice for the seniors of late. “He’s fine. Physically he’s ready – I asked him and he said ‘yeah, the adrenaline will help’. It shows both short- and long-term thinking from the boss, knowing the strengths of his players and how their attributes match up to what he wants to see on the pitch in different areas, and how he won’t be constrained by where players have previously featured. The Reds have a decent-sized squad this term and there is, more often than not, a meritocracy in place. It means players on the fringes can win more regular action if they show they deserve it—and now there’s a clear hierarchy in place, in the defensive positions at least, to pick from in order depending on availability.